If you've been playing the Company of Heroes 2 open beta on Steam, you may have noticed the counter for days left suddenly changed from one to six the other day. That wasn't some glitch in the Matrix, but rather Relic extending the open beta almost up until the game launches on June 25th. New content for the beta has also been unlocked outside of the existing campaign mission that went live last week. Three additional multiplayer maps have been added to the rotation for players to compete or cooperate on. The full progression tree has also been unlocked, allowing players to work all the way up to level 100 and unlock additional content and customizations along the way. Here's the really slick thing. If you purchase Company of Heroes 2 within 60 days from the end of the beta - you'll retain all of your progression and unlocks from the beta. How slick is that? The beta ends on Sunday, June 23rd. 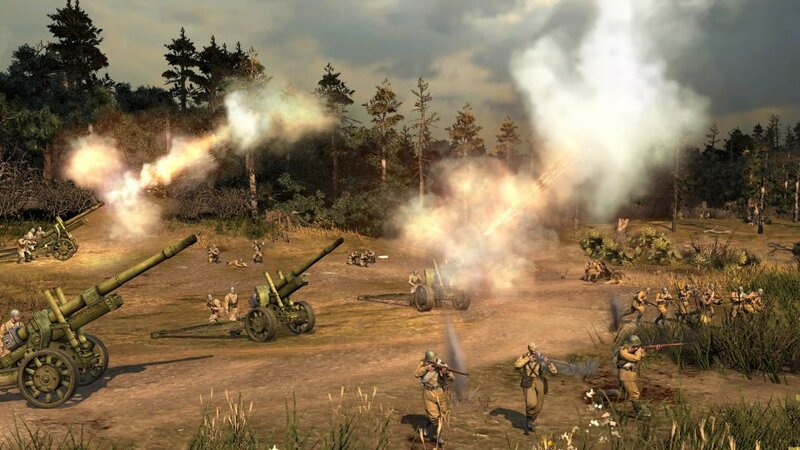 We've been playing the final review build of CoH 2 and should have our review up before launch day. Don't forget to check out our E3 preview of the game where we nominated it for co-op game of show. Company of Heroes 2 supports 2 player online co-op in the game's skirmish mode and Theater of War challenge missions.